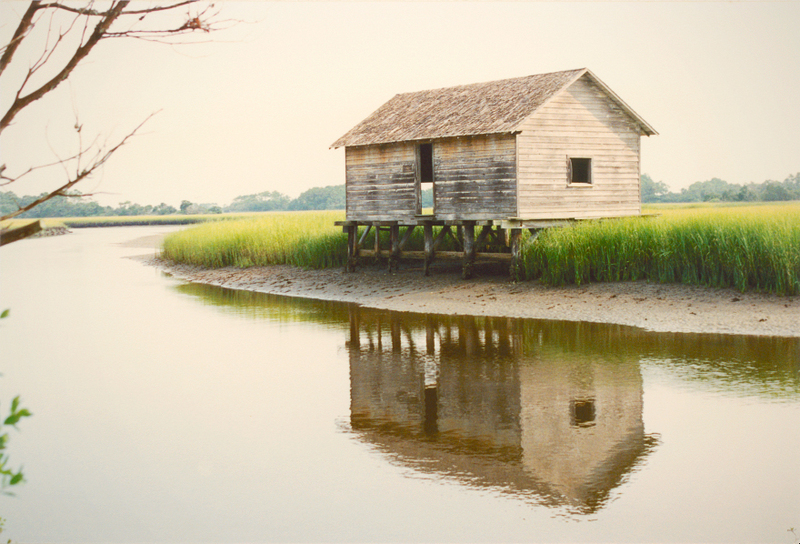 The Old Bald Head Boathouse, in it’s final years, was located on the Bald Head Creek near the mouth of Cape Fear River, Bald Head, NC. Built in the early 1900’s by the U.S. Lighthouse Service, it was used for boat and equipment storage at the Lifesaving Station near the old Cape Fear Light. 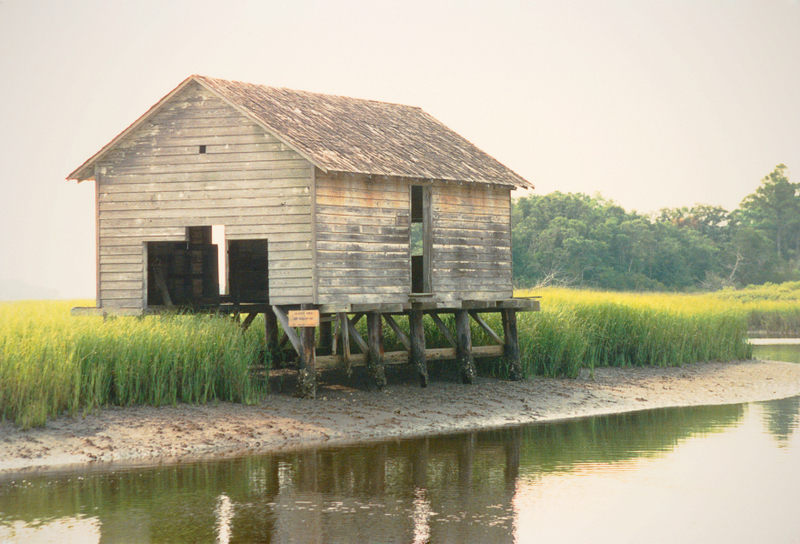 It was later moved inland from the beachfront and placed on stilts in the creek’s salt marsh. For years it has been one of the most photographed historic structures on the Island until September of 2018 when Hurricane Flo caused it to collapse beyond repair. Ricky’s photographs from the 1980’s capture this beloved landmark for all to remember days gone by. These fine photos are available on canvas or fine paper, in a variety of sizes.